Our Own Country by Jodi Daynard is the second book in the Midwife series, taking place concurrently with The Midwife’s Revolt. As I’d hoped, this installment does indeed fill in the gaps of Eliza’s story that Midwife was lacking. Both books could have been spliced together, I think, so that the reader could experience the picture as a whole from the start, but I believe Daynard wrote book 2 long after book 1. Having just read Midwife certainly helped my reading experience of Our Own Country, but I think readers who have large time gap in between readings–or readers who might stumble upon book 2 first for some reason, would find large chunks missing from the narrative; much like having tunnel vision. Even though I had the advantage of a quick sequential read, I still felt as if I had tunnel vision while reading Our Own Country–much like I did with Midwife. I surmise this feeling was only because Daynard purposefully kept the narratives of her characters separate, but I don’t believe that was the best way to approach the big picture. After reading both books, I actually feel as if I still have a shattered image of events and narrative, and I’m left to piece it back together. To be fair, it’s entirely possible that Daynard did not consider writing a sequel when she first wrote Midwife. That said, I’m hoping that the third installment, A More Perfect Union, seems more whole given the foundation of its predecessors and its 14ish year time jump (A More Perfect Union is due out May 23, 2017). As I alluded to earlier, Country focuses solely on Eliza Boylston’s narrative and forbidden relationship with a mixed race slave, John Watkins. The relationship between Eliza and John was a highlight for me, and I often wished Daynard would have slowed down a bit more on their few, brief scenes together. Perhaps that was the point, but I felt as if I didn’t really know much about Johnny as a person or what drew him to Eliza. We don’t really get many scenes with them together to find out. I also enjoyed Eliza’s familial relationship with her slave Cassie, but I say this with great reluctance because even though there is clear tenderness between them–Cassie is still the family’s slave. At the same time, I know that a young woman of a slave-owning family had little power to change those circumstances. Given her romantic relationship, Eliza obviously becomes more empathetic and even abolitionist for her time–but I won’t say much more due to spoilers. Unlike Midwife, I did not feel the strong sense of sisterhood in Country. Eliza goes through her narrative mostly alone, save for a few friends, but I felt her character far more guarded and insular than Lizzie. Like with Midwife, I found Country to be heavy on large chunks of summarization and abrupt/jarring time jumps rather than slowing down in a scene(s). I know I talk about this style choice a lot, so I won’t go on and on about it. I recognize that’s just my stylistic preference. 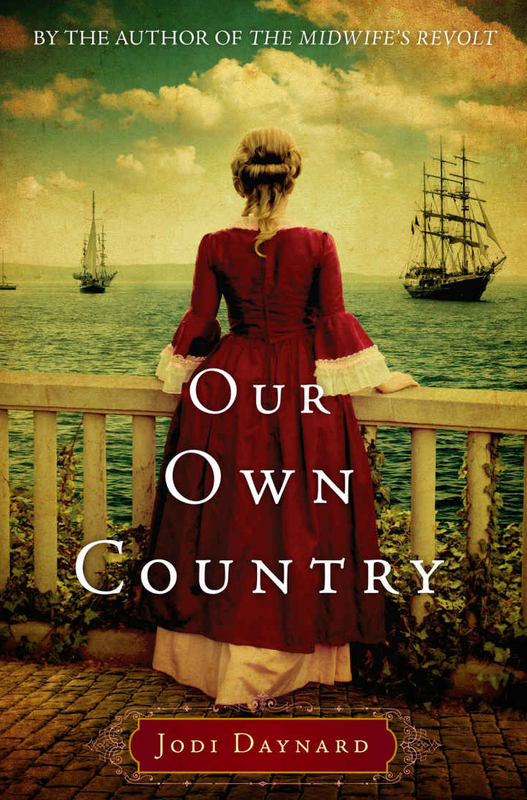 Our Own Country was an entertaining read, and I do look forward to devouring A More Perfect Union in hopes that it is more whole and filled out than its predecessors.